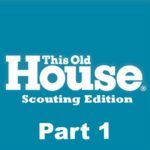 Welcome to your Scouting Journey! Welcome to Scouting! Scouting is an adventure for YOU and your children. 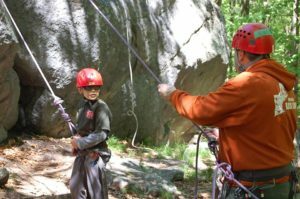 For your child, it’s an adventure filled with camping, swimming, learning new and unique skills and making new friends. For you, it’s actually much of the same. 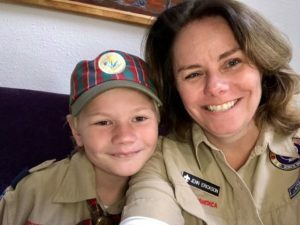 You’ll likely find many new friends through your local Scout unit, other parents who are dealing with the excitement and challenges that come from parenting. There is no greater joy than watching your child learn a new skill and beam with pride as he or she yells “Mom, look at me!” or “Dad, look what I can do!” as they demonstrate that new skill. The Scouting curriculum has enough depth for everyone! Unlike many enrichment programs, Scouting follows your child’s natural curiosities. If she finds herself interested in science, the program has badges and opportunities for her. If he finds himself interested in music or theater, he’ll probably want to work on those badges. 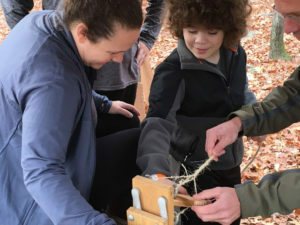 Of course, the core curriculum includes camping, first aid, wilderness survival and citizenship, so those aspects are core to every Scout’s experience. YOU are in charge of your child’s Scouting experience. Scouting builds community because through Scouting all the parents in your community will work together to help raise each other’s kids. 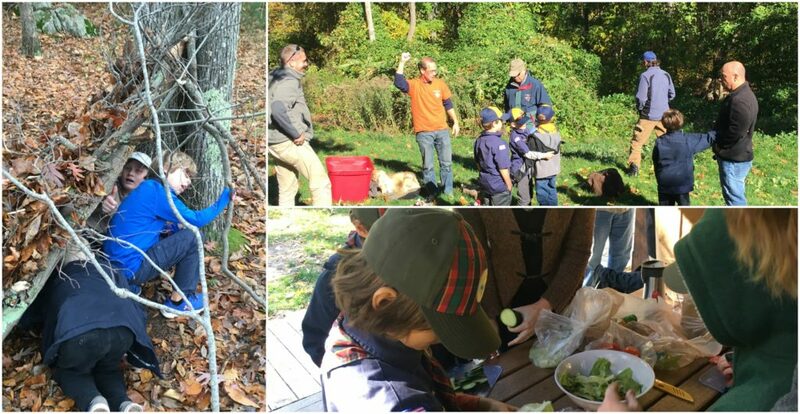 In Cub Scouting, the leadership shifts from person to person based on the situation.This is a big part of the secret of the Scouting curriculum. By collaborating as a group of families, your child benefits from the best skills and talents each family has to offer. Of course, Scouting needs some parents to step forward and serve as leaders to facilitate the activities, but every parent has a role. The parent who is great with woodworking can share his or her talents to help families build pinewood derby cars, whereas the parent who is naturally organized may coordinate the camping trips, and the foodie parent might help design the camping menu or the year end banquet. Regardless of your skill – there is a place for you in Scouting and a place for you in the Scouting community. The curriculum support is more than the book. The curriculum is best described as your child’s handbook. However, Scouting provides the resources to help the parents deliver the curriculum, far beyond those activities found in the book that many parents can’t pull together on their own. 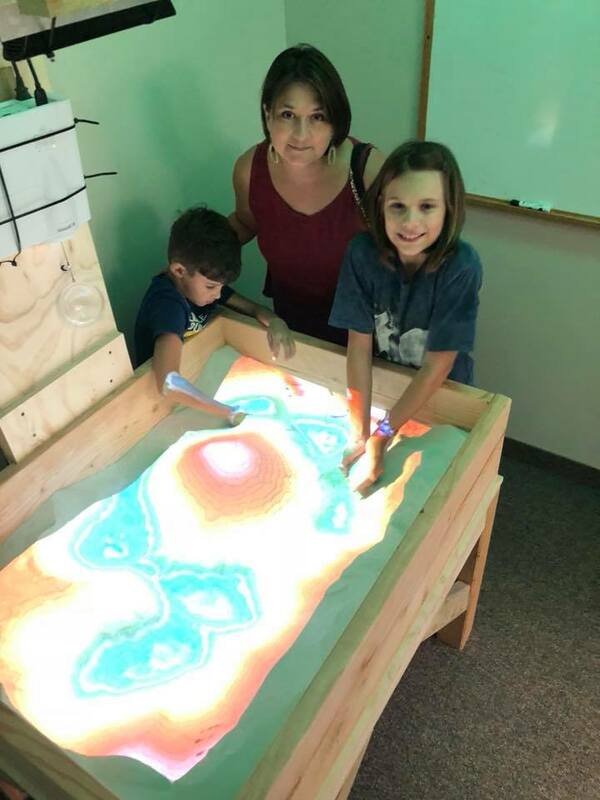 Most often this means camps, canoes, archery equipment, lakes and pools, lifeguards, rock climbing equipment and staff, 3D printers, robots, and thousands of other activities that are called on by the curriculum. WE WANT YOU TO USE ALL SCOUTING’S RESOURCES. 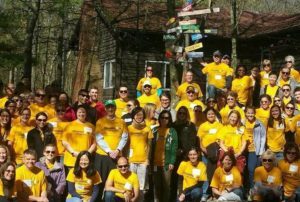 We operate about 2,000 acres of camp property in MA and NH, own over 215 buildings, are blessed with over 4,000 volunteers, and have corporate relationships with dozens of Boston area family activities and attractions. You should seek to use as many as possible! 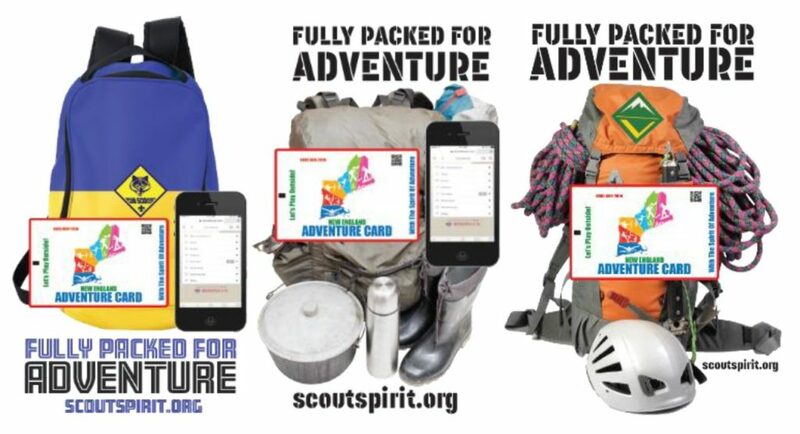 Your Adventure Card, which is part of your Cub Scout membership, is the ticket to all these resources. 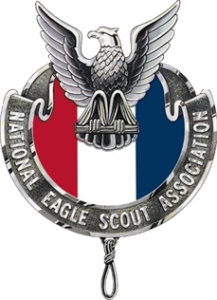 As always, if you have any questions about this blog or the resources mentioned – please don’t hesitate to call the local Scouting help desk 617-615-0004. How does a Lion Den work? What kind of Scout programs can Lions do? Every Cub Scout Pack can now recruit Kindergartners into a Lion Program! Click here for an informational PDF to share with new parents! 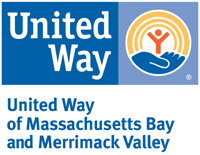 The Lion program year runs from September through May. At that point, they cross over into Tigers. Like Tigers, each boy is accompanied by an adult partner who attends all meetings and outings with the boy. There is no Lion den leader. The den follows a shared leadership model in which the adult partners take turns running the meeting and outing. Each month the Lion den gathers twice. There is one den meeting and either an outing (open to the whole family) or a Pack meeting. Lion dens typically attend two or three pack events per month. These should be special or especially fun gatherings. You may want to consider a holiday pack meeting, blue and gold banquet, or other really special meeting. All Lions get the Adventure Card with their registration, which means they are able to receive all of the benefits when they book outdoor adventures! 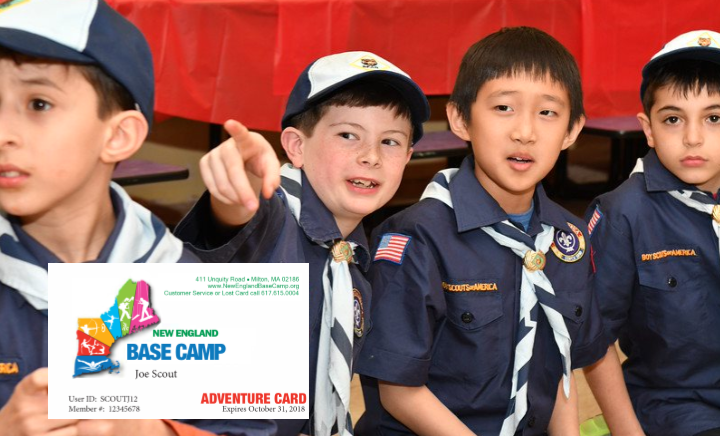 New England Base Camp’s Open Program on Saturdays is free for all Cubs with the Adventure Card, including Lions. 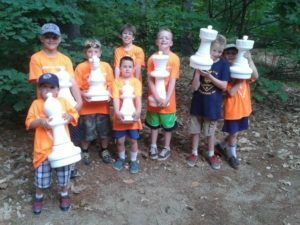 Come to Milton, MA or Kingston, NH to play in the outdoor activities. 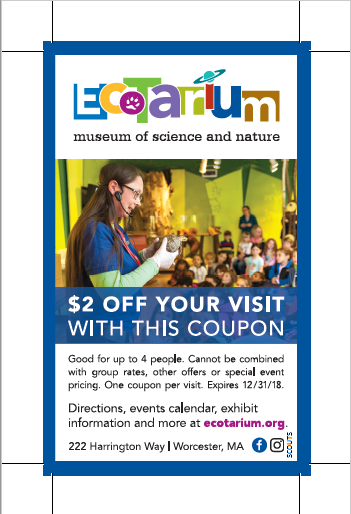 When Lions come to New England Base Camp, they also get 20% guest admission and 20% meals at both locations. For more information about Lions and Recruiting contact George O’Loughlin. Summer camp is so much better than a placeholder for your kids until you get home from work. So much better than a babysitter or electronics that keep them occupied. Summer camp is the time for kids to be kids. 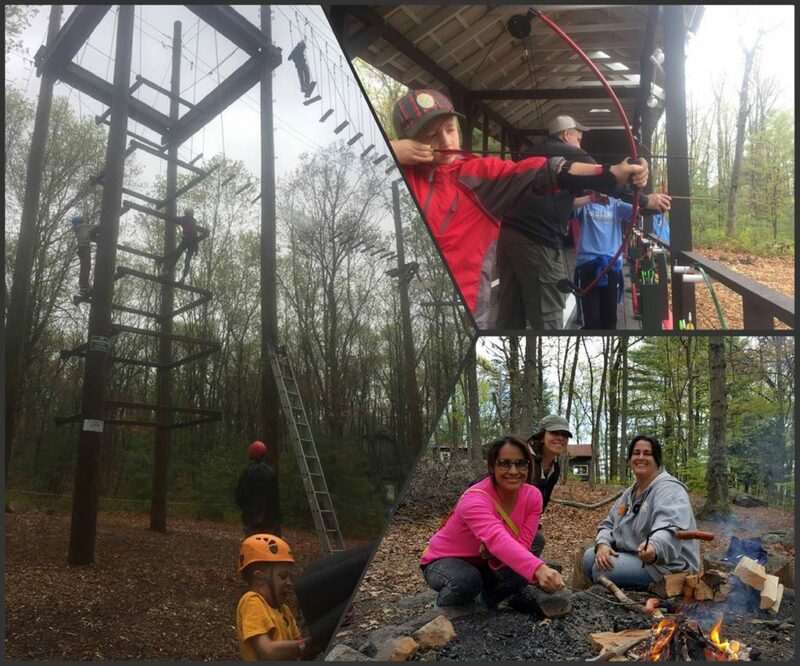 To get outside and learn the skills that will assist them in being better friends, prepared students and some day, engaged parents and productive adults. The days are filled with fresh air, fun, learning (shhh! ), dirty knees and hopefully sun. If not, they learn the importance of being prepared and having rain gear or learn how to be safe in a thunderstorm. 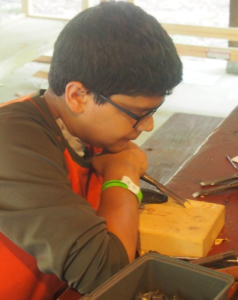 They can do individual activities that strengthen their hand eye coordination, their creativity and imagination through woodworking, leather crafting, and arts and crafts. They do team building activities and learn to work and share with others. They learn new sports or maybe strengthen the skills of old ones. They learn they don’t have to be the best to have fun but they need to try their best. For many, a love of a new interest is borne or a skill crafted that they had never tried before. Who knew they were good at archery and slingshots? Who knew they could build a chair from a pile of wood? They get scrapes and splinters and learn how to treat them. They learn an appreciation of the outdoors and how to take care of it. They explore and discover new things in the world around them. They learn to care about the well-being of their friends by instilling in them the buddy system. Summer camp is an opportunity for kids to be away from their parents. They discover what they can do without Mom or Dad there. We as parents learn what they are capable of when we step back and let them be, they truly can do so much more than we give them credit. They gain some independence, some confidence and learn from some mistakes. As they do these things, they build up their self-esteem and their self-worth. They become leaders and decision makers. They have choices that they are responsible for, they make new friends and are introduced to new types of people and situations. They grow. Summer camp is childhood wrapped up in one week and I wouldn’t want my son to miss it for anything in the world. Summer camp is calling and he MUST go! Over the past four summers, I have had the privilege of being outside on the hottest days of the summer, wrangling elementary aged kids into activities, sleeping in a cramped cabin, and not having access to the internet; and I have enjoyed every second of it. 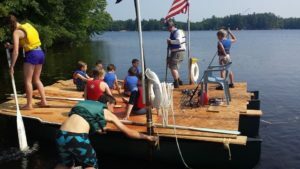 Camp staff know that the hottest days are those when the camp gets free swim, kids will love the camp program, the cabin is full of five of your best friends, and a lack of internet means that we can take a break from summer homework and internet. Being a camp councilor provided me with life experiences that I never could have dreamed of. I have the skills to be a lifeguard, work with kids, provide customer service to adults, manage and lead other staff members, and create a program that will keep kids entertained and learning for days on end. 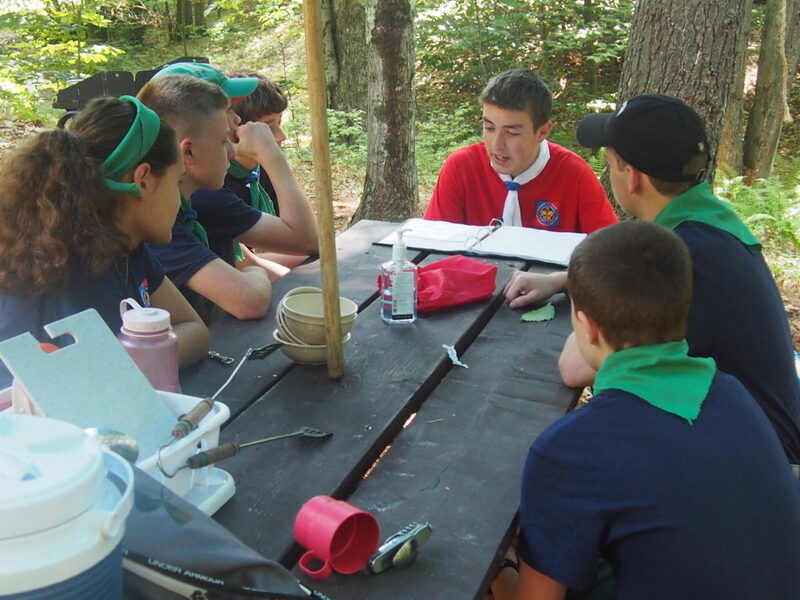 A unique facet to being a camp councilor is the responsibility placed upon you. I was trusted to teach kids sports and swimming, to guard their swimming activities, and to ensure that they got to bed safely. This level of responsibility caused me to rise to the challenge and become more mature. Not many other summer gigs can get you life skills and experience like camp staff. Every time I go back for one more year of camp, I always get asked “Why do you want to go back to camp again?”. I go back because nothing is more fulfilling than having a homesick camper stay at camp because you talked with them. Nothing is more fun than sharing the experiences of the day with other staff members back in the cabin late at night. And nothing can stop me from smiling during a heartfelt performance of “The Invisible Bench” skit. Yes, it is a lot of work, I’m always sunburned, and sometimes I can’t tell if I’m covered in dirt or bruises, but none of that matters if I have made a difference. There is a famous quote that reads “One hundred years from now, it won’t matter what car I drove, what kind of house I lived in, how much I had in my bank account, nor what my clothes looked like. But, the world may be a little better, because I was important in the life of a child.” Many summer camps, including Lone Tree Scout Reservation, have this posted somewhere in camp to remind staff (and others) what is truly important. I know that I have helped keep kids in Scouting, inspire a love of the outdoors, discover a new passion, and feel accomplished. Helping people is a great part of my job but I gain a lot from them as well. 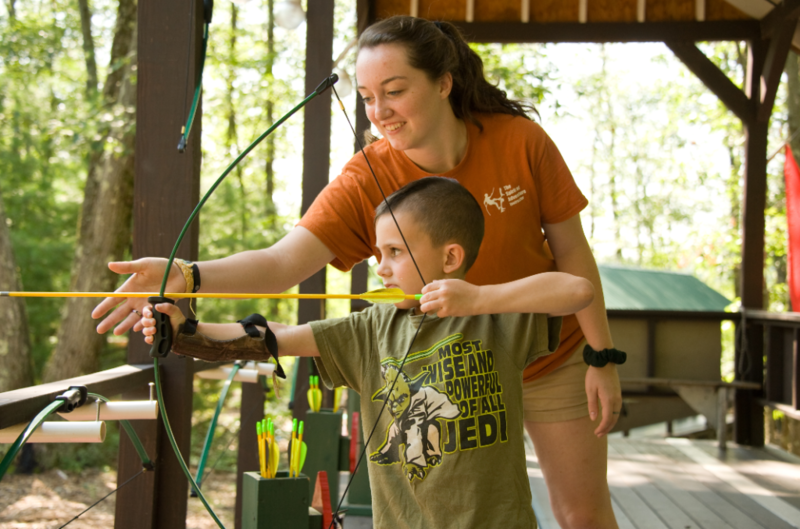 Camp staffs have to overcome unique challenges and this causes them to quickly develop into “camp families” with surrogate brothers, sisters, moms, and dads. My camp family always has my back and I have theirs. The relationships that started four summers ago have developed into lifelong friendships. 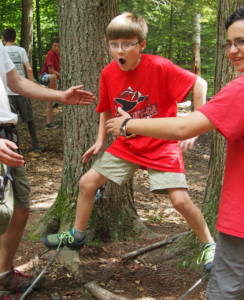 Camp enabled me to develop a sense of confidence. I promise, if you get up in front of a large group and sing a songs about bears, moose, and red wagons enough times, any fears of public speaking will disappear. The responsibility that I felt for the campers and for the camp also instilled this confidence. I could get an internship, a more typical summer job, or sit and watch Netflix in the air conditioning all summer but instead I work on camp staff. I am the person I am today because of the experiences I have had at camp and I wouldn’t trade it for anything. Someday I will probably have to stop working at the camps I love so much but I know that while I was there I made a difference and learned something new. If you are looking for the experience of a life time and a way to grow as a person, I would suggest you apply to be on camp staff in the coming year.